It’s hard to exaggerate the value of being able to write well—and it’s even harder to exaggerate the importance of teaching kids how to write from a young age. Unfortunately, even though teachers understand how important writing is, it can be a little tougher to convince your students of the same thing. With that in mind, it’s up to anyone who is teaching writing to make the craft seem both significant and fun. 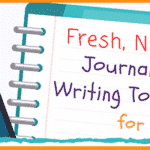 That’s a tall order, for sure—but one of the best ways you can help your students see the appeal of writing is to actually ask them to write about writing. 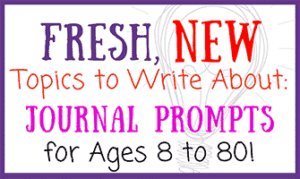 These 31 new journal prompts help kids see that writing matters by exploring themes like the importance of storytelling and how writing is used to disseminate ideas—and they also show how fun writing can be by asking them to reflect on topics like the most inspiring stories they’ve ever heard and the pride they feel when reading their own writing. 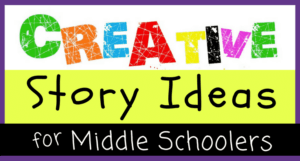 As your students consider the experiences they’ve had in working on their own writing and in reading the writing of others, they’ll gain a deeper appreciation for this complex craft—and will likely feel inspired to share more of their own thoughts on the page! 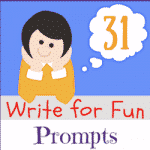 Use these all new writing prompts to make teaching writing more engaging and exciting this year! Do you enjoy writing? Why or why not? 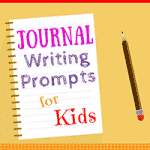 What is your favorite thing to write (a journal, short stories, poetry, essays, etc.)? What do you enjoy most about it? Have you ever had an experience and then felt eager to sit down and write about it? How did that make you feel? Why did you want to write about your experience—to remember it, to reflect on it, or to understand it? Do you think writing is easy or difficult? Why? Though many students think they won’t need to write anymore once they get out of school, writing is actually a very important skill for people with all kinds of careers to have. Think of three unusual jobs and write about why each of these people might need to know how to write well. What is your favorite thing that you have ever written? How do you feel when you go back to read it again (happy, proud, etc.)? Did you enjoy the process of writing it? Why or why not? Writing and storytelling have played very important parts in the formation of many cultures and societies throughout history. How is it possible for simple stories and written words to have such profound impacts on people? Compare and contrast oral stories and written stories. Write about the primary characteristics that both types of stories share, and then explain how the differences between oral and written stories can impact the audience’s experience of the story. Though an oral story may not be written down (or at least not right away! ), it still shares many qualities with a traditionally penned story. 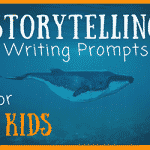 Write about how an oral storyteller shapes his or her story in the same way that a writer does on the page. 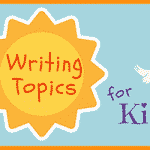 Write about a time when a story you heard or read changed the way you thought about something. 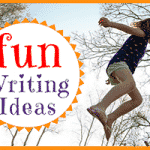 Write about a time when a story you heard or read made you feel inspired. People often say, “Writing is rewriting.” What do you think this phrase means? Why is editing such an important part of the writing process? Write about a time when you edited some of your own writing. Be sure to describe some of the differences between your first draft and your final work. 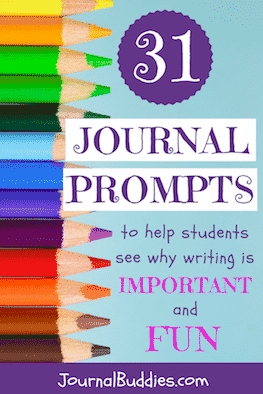 Do you enjoy writing regular journal prompts? Why or why not? What are some of the key benefits of keeping a regular journal? 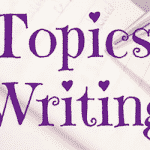 Write about a time when writing helped you clarify your own thoughts or feelings on a particular subject. Do you think you could have reached the same conclusions through any other type of reflection? Why or why not? Think about all of the different things you’ve read in school this year, and then write about your favorite piece of writing. What did you enjoy about the work? How did the writer make you interested and excited to keep reading? Do you prefer to write for yourself or to write for other people? Why? Do you write differently based on who will read your work? 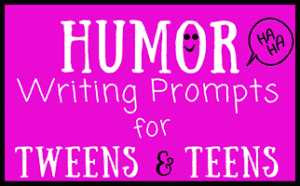 Do you like to share your writing with other people? Why or why not? 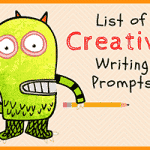 Do you prefer creative writing (short stories, poems, etc.) or academic writing (essays, book reports, etc.)? Why? Are some types of writing easier to understand than others? Why or why not? New advances in technology continue to change how writers write and how people receive their work. Do you think technology that allows more people to write and share their voices is a good thing? Why or why not? Write about a time when you read or heard a story that ended on a “cliffhanger.” How did the cliffhanger make you feel (anxious, eager to hear more, etc.)? 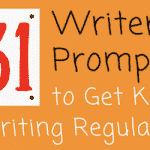 Write about your experience and explain what happened when the story was finally resolved. What is the most difficult part of writing? Why? Though many people write so that they can share information or reflect upon their own thoughts, writing is also used to preserve and archive ideas, events, and information. 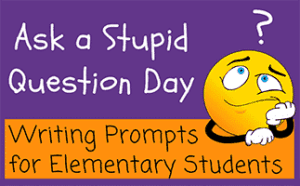 Write a brief essay describing three historically significant events that we might not know about if someone hadn’t written them down. In what ways is writing a more effective communication tool than speaking? In what ways is writing a less effective communication tool than speaking? What are some ways you could improve these issues to make your writing more effective? What is the greatest story you’ve ever read or heard? What made it so memorable? 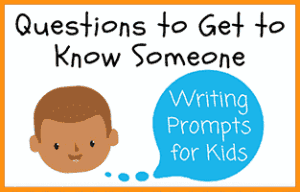 Write about a time when you felt like you got to know someone better after reading something they had written. What did you learn about the person? How did that person’s writing help you understand him or her better? What makes your style of writing unique?